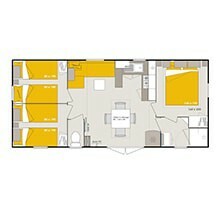 Take a look at Flower’s latest exclusive rental option: the Homeflower (30m² / 3 beds / sleeps 6-8). This upmarket mobile home boasts elegant, contemporary design in soft, contrasting colours, creating a real holiday home-from-home. 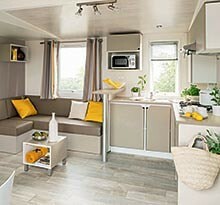 You’ll love the designer look, the luxury feel and the summer spirit of Flower’s new Homeflower. What does the luxury Homeflower look like? Natural feel: the nutmeg-coloured, wood-style cladding and soft, natural colours blend perfectly into the surrounding environment. Chic designer details: outside, the clean-cut, two-tone façade enhances the impression of space, inside the high quality finish gives a genuinely contemporary feel. Elevated terrace: extending your living space outside, the terrace marks the end of cramped camping holidays and allows you to take full advantage of your luxury holiday home. 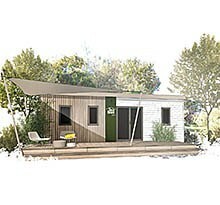 Contemporary look: the single-pitch roof gives a new twist to modern holiday accommodation. More sleep: new blinds with integrated mosquito nets mean you can shut out the morning light in the bedrooms. Great for a lie-in! More friendly: separate living and dining areas. More space: high ceilings and plenty of room thanks to the single-pitch roof, not to mention a large terrace. More privacy: large master bedroom with direct bathroom access. Flower is proud to introduce its new generation of exclusive, luxury “holiday home”-style rental accommodation complete with contemporary design in light wood and soft colours and plenty of light and space. The terrace extends the living area outside, ideal for those long summer evenings. Book your luxury camping holiday now at one of the Flower campsites listed below that already offer Homeflower mobile homes. 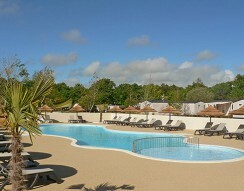 Plus information on other types of luxury rental accommodation at Flower. 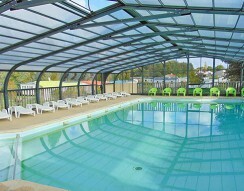 This campsite is situated 50 m from a fine sandy beach; in the other direction is the historic centre of Saint Jean de Luz. 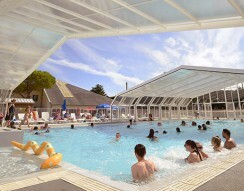 Quiberon lies on the famous Côte Sauvage in the heart of Morbihan looking out to sea and Belle-Île. 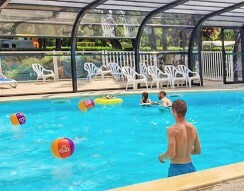 A friendly, shady campsite at Vensac in Gironde close to the beach and the local vineyards and ideal for holidaying with family or friends. Set in lovely countryside between the Loire and Authion rivers, the site makes an ideal base for exploring the Anjou and the Touraine. 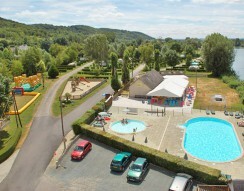 Set in verdant countryside at the foot of a medieval château on the slopes leading down to the River Seine, this Normandy campsite is just an hour away from Paris! 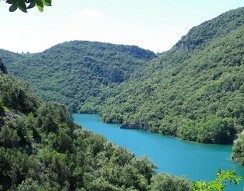 A campsite with a difference at the entrance to the Verdon Gorge in the Alpes de Haute-Provence with Lake Esparron and the spa resort of Gréoux-les-Bains both just a few kilometres away. 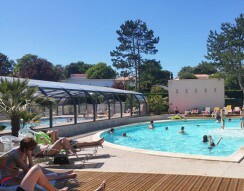 This family campsite at Vaux-sur-Mer in Charente-Maritime offers the chance to relax and explore the wealth of cultural and leisure activities on offer on the Côte de Beauté. 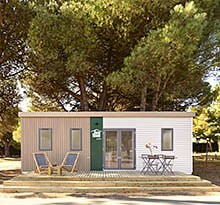 Enjoy the calm of this lakeside campsite set between beach and marsh in the heart of the Vendée. There’s nothing more typically “Atlantic” than Batz-sur-Mer with its long sandy beaches, characteristic fishing villages and local festivals. 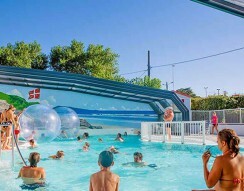 A campsite 5 minutes from the coast, ideally located for exploring the coast, the French Basque country inland its Spanish counterpart across the border.